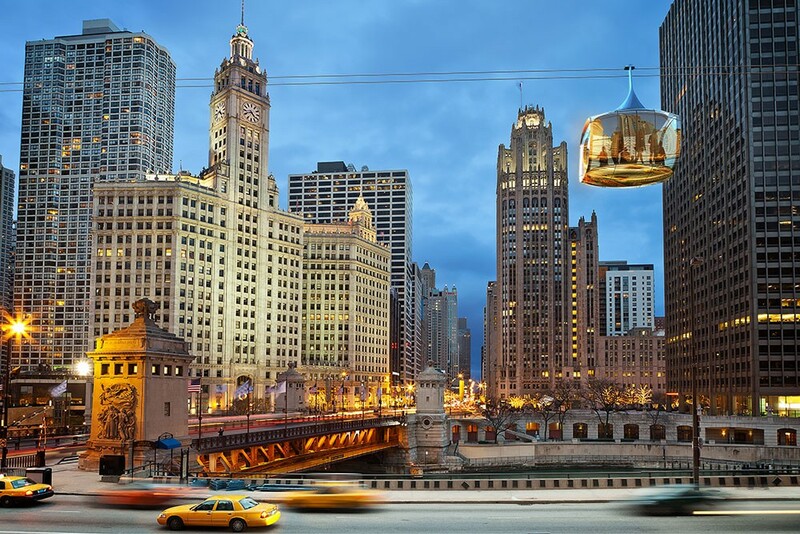 Planning won for 23,000 sqm mixed-use Stephenson House development. 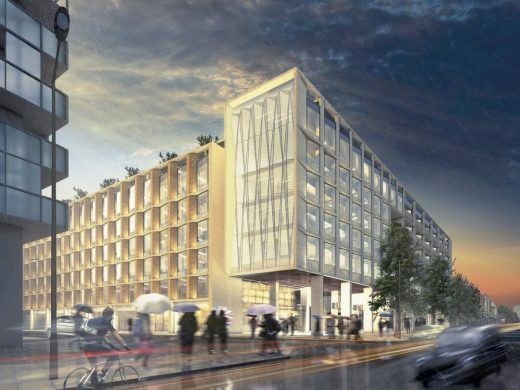 The mixed-use development will deliver 17,000sq m of Grade A office space and create 17 new homes including 6 at London Affordable Rents, retail space and potential healthcare use in a building designed to set new standards for wellbeing. 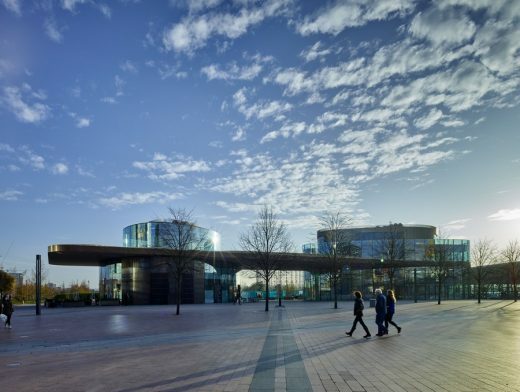 The Gateway Pavilions are the first completed project in Knight Dragon’s ambitious and evolving vision for the Greenwich Peninsula. 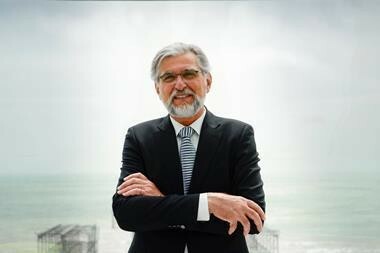 They mark a statement of intent, signalling the quality and character of the place they intend the Peninsula to become. 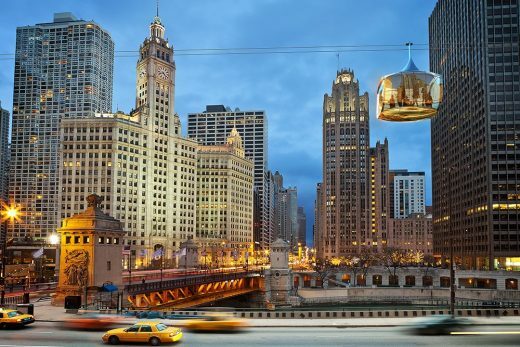 The Chicago Skyline is a proposed new aerial cable car tourist attraction linking Navy Pier, the Chicago Lakefront, the Riverwalk running alongside the Chicago River, and downtown Chicago. 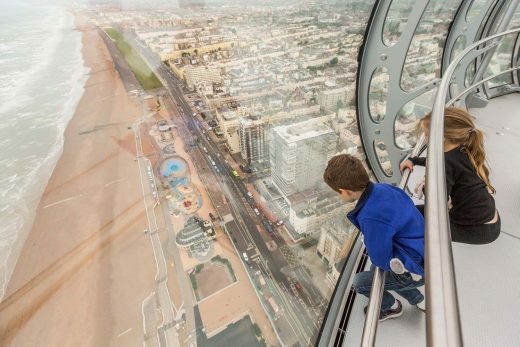 The architects behind the London Eye have received a financial boost to their plans for a 175-metre viewing tower on Brighton seafront. 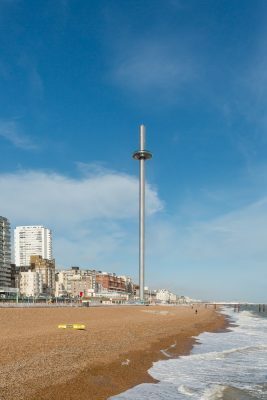 The new government-backed Coast to Capital Local Enterprise Partnership has just agreed a £3m loan to the so-called i360 project from its Growing Places Fund. Designed by a team led by Marks Barfield Architects and including Prof. Keith Critchlow (artist), Jacobs (structure), Skelley and Couch (services), Emma Clark (landscape), and Bidwells (project management and planning), the proposed mosque will allow the downsizing of the existing overcrowded facility. 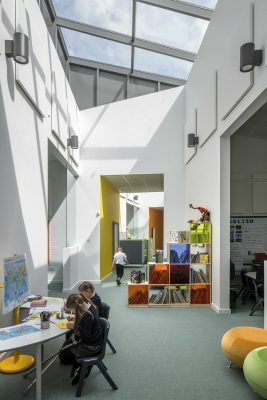 The Longbridge design concept was developed by Marks Barfield Architects (MBA). October 18, 2017 in Architects.